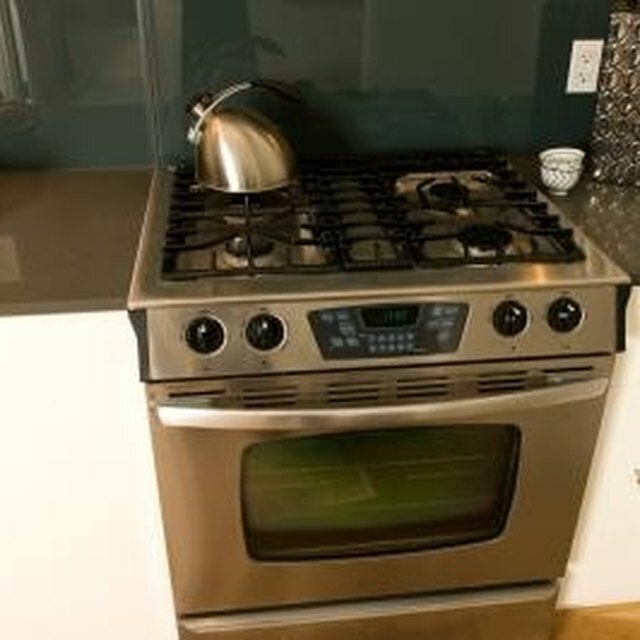 Once only found in bakeries and restaurants, convection ovens are becoming a popular addition to home kitchens. Convection ovens work by circulating hot air around the food with fans. This results in more even cooking than in standard ovens, often in less time. However, while cooking with a convection oven does require some adjustments to temperature, time and pan choices, certain aspects are the same as using a standard oven. Cooking a frozen cut of meat in any oven is likely to lead to disappointing results. While some countertop convection ovens claim to cook frozen meats, in general, for the most even cooking, you need to thaw food before cooking in any kind of oven --- even a convection oven. The only exceptions to that rule are frozen prepared foods that are designed to be cooked directly from the freezer. Cooking frozen food, especially meat, is likely to lead to uneven results. Because food cooks from the outside in, you'll likely wind up with a meal that's overcooked on the outside and undercooked --- or still frozen --- on the inside. Convection ovens tend to cook food more quickly than standard ovens; some manufacturers estimate that most roasted items will cook up to 30 percent faster than standard ovens. Because the air inside the oven is moving around, meat tends to sear on the outside quickly. To compensate for this, you generally need to lower the oven temperature so the inside of the food cooks evenly and the outside does not overcook. For this to work properly, though, the entire piece of meat needs to start at the same temperature; otherwise, you'll get the same uneven results as cooking in a standard oven. Cooking frozen food also takes longer than cooking thawed food in either a convection or standard oven, which uses more energy. Convection oven manufacturers do not recommend cooking frozen food in the oven, but in some cases, you can use the oven to thaw or defrost food quickly. If the food is something that will thaw in less than two hours, such as a chicken breast or pork chops, place it in a roasting pan to catch the juices and set it in the lower part of an oven set to 135 degrees Fahrenheit or lower. Check the food regularly to make sure it's not cooking. If you need to thaw a large item, such as a Thanksgiving turkey, don't try to do it in the oven. If the meat stays in the oven for more than two hours, it will have spent too much time at too high a temperature, and the potential for dangerous bacteria growth is very high. If you're cooking frozen foods, such as a frozen pizza or packaged meal, you can use the convection oven without thawing the food first. Many manufacturers print convection oven instructions on the packaging, but if your food does not have instructions, you can estimate the proper time and temperature. In general, lower the temperature listed on the package by 25 degrees, and the time by 10 percent. Check the food through the oven window at regular intervals to gauge doneness. Keep a running list of the ideal temperature and cooking times for your favorite convenience foods once you hit on the right combination so you don't need to keep experimenting.